In medicine, PULMONOLOGY (pneumology) is a specialty that deals with the diseases of The Respiratory System. 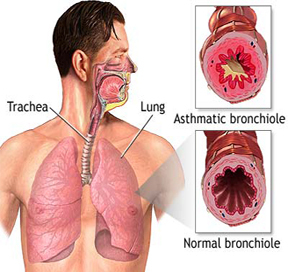 It is also called Chest/Thoracic Medicine and Respiratory Medicine. Pulmonology is generally considered a division / branch of Internal Medicine. It is also closely related to Intensive Care Medicine (Critical Care Medicine) when dealing with patients requiring mechanical ventilation. Chest/Thoracic Medicine is an inclusive term which pertains to the treatment of diseases of the nose, throat, windpipes, chest wall, both lungs, lining of lungs and diaphragm. It contains the fields of pulmonology, thoracic surgery, and intensive care medicine. The departments which deals with the respiratory system are usually known as Department of TB & Chest diseases or Department of Respiratory Diseases or Department of Pulmonology or Department of Chest/Thoracic Medicine. CHEST INFECTIONS: due to bacteria [gram positive, gram negative or anaerobic], viruses [H1N1], tubercular bacilli [TB]): pneumonias-community acquired [CAP] or health care associated pneumonias [HAP], bronchiectasis, opportunistic infections in a immunocompromised patients [transplant, HIV, diabetic, patient on steroids] due to fungi [aspergillus, candida], cryptococcus, parasites [protozoa, helminths and other zoonotic infections], nocardia, pneumocystis, nontubercular mycobacteria, rare virus], bronchitis, aspiration pneumonia, lung abscess, empyema. OBSTRUCTIVE LUNG DISEASES: due to obstruction in airways that limit or block the flow of air in or out of the lungs: Allergic rhinitis and Asthma, Allergic Broncho Pulmonary Aspergillosis [ABPA], Emphysema, Acute bronchitis, Chronic bronchitis, Chronic obstructive Pulmonary Disease, [COPD], Bronchiolitis, Bullous diseases of lungs. DISEASES CAUSING ABNORMAL GAS EXCHANGE IN LUNGS: due to fluid, blood, other material deposition in alveoli (gas exchange units of lungs): Alveolar haemorrhage syndromes, Acute Respiratory Distress Syndrome [ARDS], aspiration pneumonitis, pulmonary alveolar proteinosis, alveolar microlithiasis, pulmonary amyloidosis, ANCA associated pulmonary vasculitides, pulmonary edema. CONGENITAL AND DEVELOPMENTAL DISORDERS: of lung due to birth defects: lung aplasia, hypoplasia, agenesis, cystic fibrosis. RESTRICTIVE LUNG DISEASES: due to stiffness and scarring [lung fibrosis] of the interstitium [the space between the alveoli (gas exchange units of lung)] due to immunologic process: Interstitial Lung Disease (ILD) [UIP, IPF, NSIP, DIP, LIP, BOOP], hypersensitivity pneumonitis, Sarcoidosis, radiation pneumonitis, eosinophilic pneumonias, ILD's related to connective tissue disease (CTD), Pulmonary Langerhans's cell histiocytosis, lymphangioleiomyomatosis, Drug induced lung diseases. LUNG CANCER: non small cell lung carcinoma [NSCLC], small cell lung carcinoma [SCLC], solitary pulmonary nodule [SPN], lymphoproliferative [lymphomas] or hematologic [leukemias] malignancies affecting lung and pleura, metastasis to lungs from other primary malignancies [spread of tumor cells to lungs]. DISEASES OF PLEURA (LINING OF LUNGS): Pleurisy or pleural effusion (water collection outside lung either due to infection or cancer), empyema (pus of lung lining), Pneumothorax (rupture of lung lining), Mesothelioma (cancer of lining of lungs). OCCUPATIONAL AND ENVIRONMENTAL LUNG DISEASES: (Pneumoconiosis): due to exposure to dust (organic or inorganic), toxins or fumes (asbestos, beryllium, coal dust, silica dust, indoor and outdoor air pollution). LUNG DISORDERS FROM UNUSUAL ATMOSPHERIC PRESSURE: Mountaineers (high altitudes) where the air has less atmospheric pressure (oxygen), or Divers (deep water) where there is more atmospheric pressure causing higher nitrogen levels in the blood. DISORDERS OF PULMONARY CIRCULATION: Diseases related to abnormalities of blood flow to lungs: Pulmonary arterial hypertension (PAH), corpulmonale, acute or chronic pulmonary thromboembolism, pulmonary arteriovenous malformations. DISEASES OF MEDIASTINUM:[diseases of space containing airways (windpipe), food pipe, heart vessels, lymph nodes]: oesophageal perforation [rupture of food pipe], tracheobronchial perforation [rupture of windpipe], and superior vena caval syndrome [compression of heart vessels], congenital lesions of mediastinum [bronchogenic cysts, entrogenic cysts, neuroentric cysts, thymic cysts, pericardial cysts, thoracic duct cysts], acquired lesions of mediastinum [acute or chronic mediastinitis [infection], pneumomediastinum (air in mediastinum), enlarged lymph nodes and tumours in mediastinum. DISEASES OF THORACIC CAGE (CHEST WALL) AND DIAPHRAGM: (membrane separating lungs from abdomen): neuromuscular weakness (nerve or muscle neurological diseases causing chest wall muscle weakness or diaphragmatic palsy), congenital chest wall and diaphragmatic disorders (khyphoscoliosis, eventration of diaphragm, diaphragmatic hernias and obesity). SLEEP RELATED BREATHING DISORDERS: like obstructive sleep apnea [OSA], obesity hypoventilation syndrome.